Watercolor wedding invitations can be modern and chic - they definitely don't always need to be whimsical. 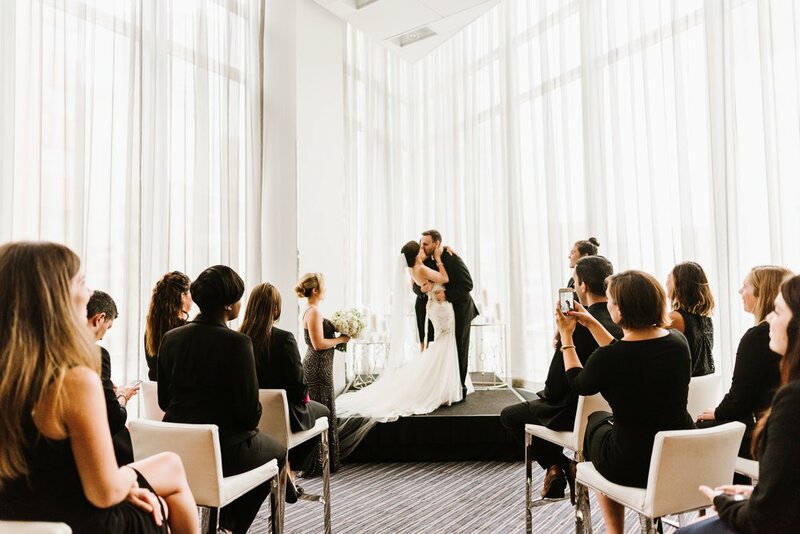 When Claudia Moriel from Style at Work invited me to be a art of this wonderful styled shoot of a modern city wedding at the W Hotel Boston I felt so excited (thanks, Clau)! The challenge was to come up with an elegant clean looking invitation suite in watercolor. I must say we don't get this kind of order very often, but hey, challenges are fun, right? I decided to stick with shades of white and grey and a touch of green. As part of the set, I included a clean Boston watercolor map following the color palette of the invitation. To add a touch of color and elegance, a burgundy wax seal was added to the envelope. 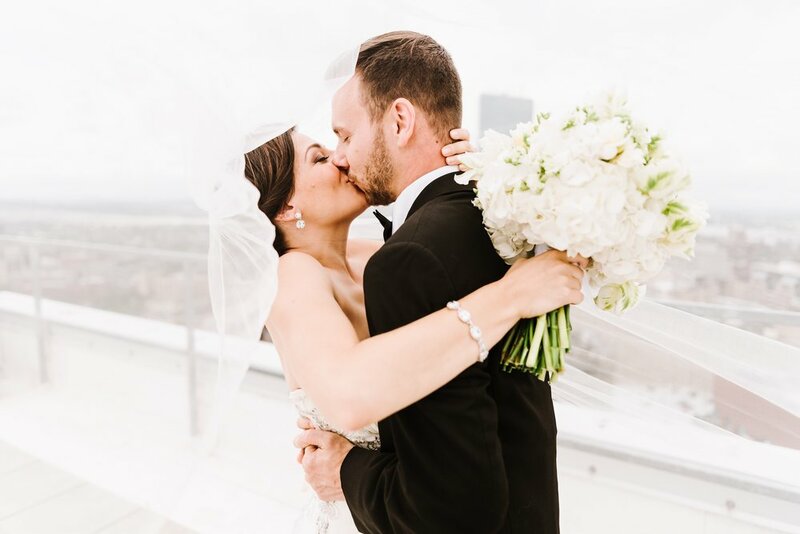 Claudia put together a wonderful team of vendors, many of whom I had always wanted to work with - including Claudia herself, who made every single styled shoot participant look amazing. 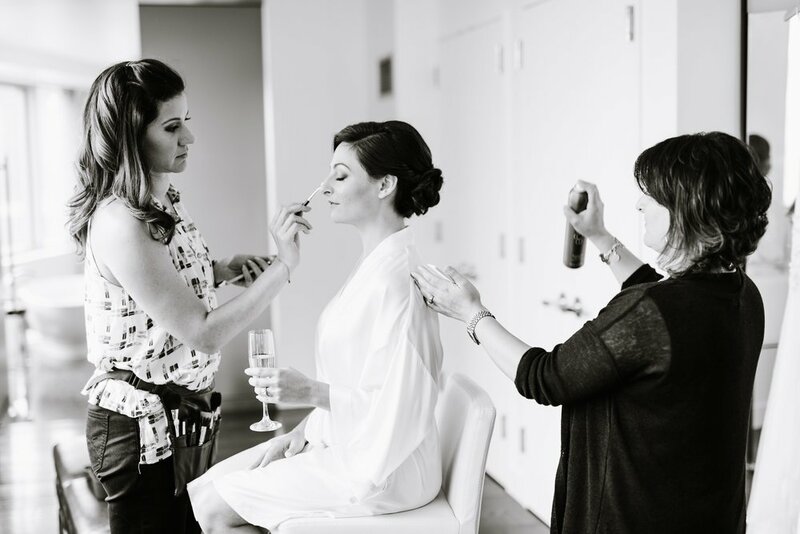 Her makeup style is classic and natural - I love her work so much that I asked her to me my makeup artist on my big day! Big shout out to the amazing photographer Annmarie Swift who captured these amazing images. Although it was a styled shoot, she and the beautiful models managed to bring so much emotion to the photos. I've been following her work for a while and it was such an honor to have our artwork photographed by her! Thank you to all the vendors for a beautiful shoot! Groom's Attire: Bonardi's Formalwear Inc.